Pivot tables, by default, cannot be automatically refreshed. While working with Excel, we can manually refresh our pivot table every time we make some changes in the source data. This step by step tutorial will assist all levels of Excel users in refreshing a pivot table in Excel. 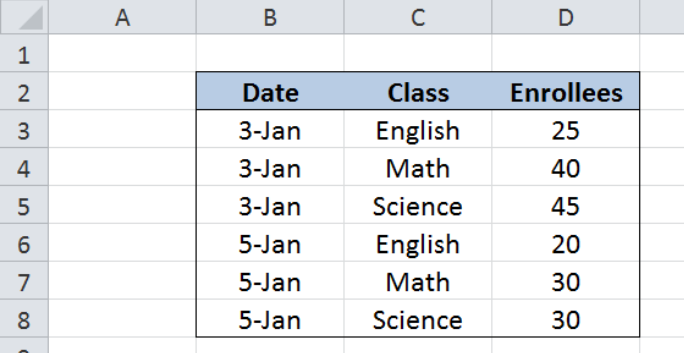 Our source table contains three columns: Date (column B), Class (column C) and Enrollees (column D). We use above data to create a pivot table showing the total enrollees per class. Next we make some changes to our source data. Suppose we need to correct the value in cell D3 and change the number of enrollees from 25 to 30. 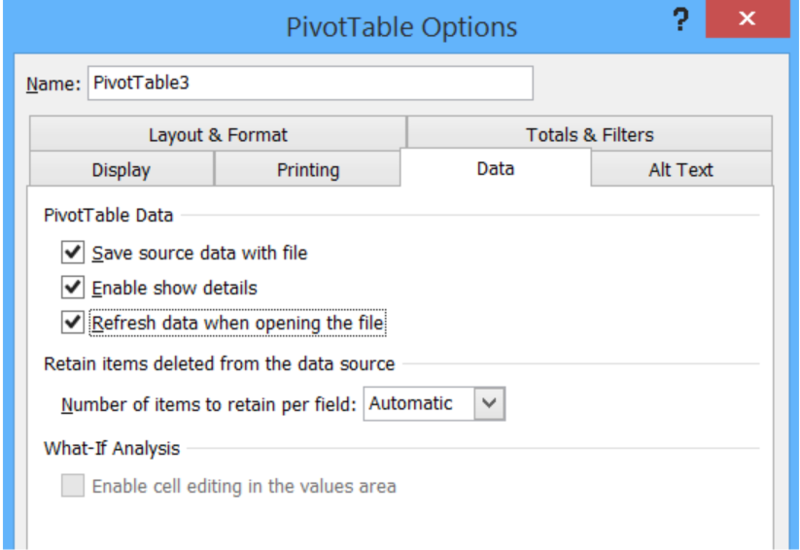 Note that our pivot table does not automatically change with our data. The total enrollees for English in our pivot table is still 45 instead of 50. Our pivot table is instantly updated to include the changes we made to our source table. The total enrollees for English is now changed from 45 to 50, as shown in cell G3. Excel has built-in shortcut keys for Refresh and Refresh All. For Refresh, just press Alt + F5. For Refresh All, press Ctrl + Alt + F5. After clicking OK, Excel might show below warning message when we have other pivot tables created from the same source data. Just click OK.
Now everytime we close and open the workbook, our pivot table is automatically updated to include the changes we made to our source table, including external data sources.